These don't always come out as the neatest or most presentable treat but they are delicious with a hot cup of tea on a summers afternoon. 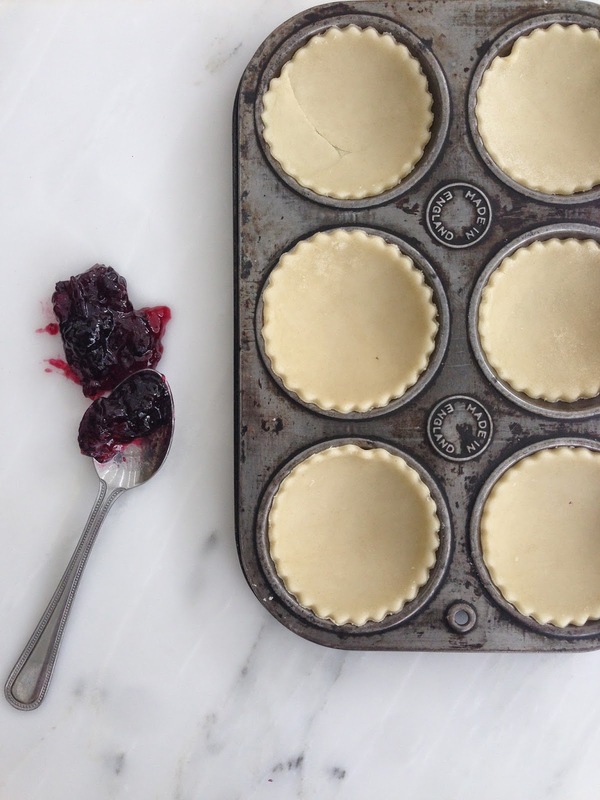 when you any left over pastry, simply cut what you have into flat disks and place into a mini tart tin. 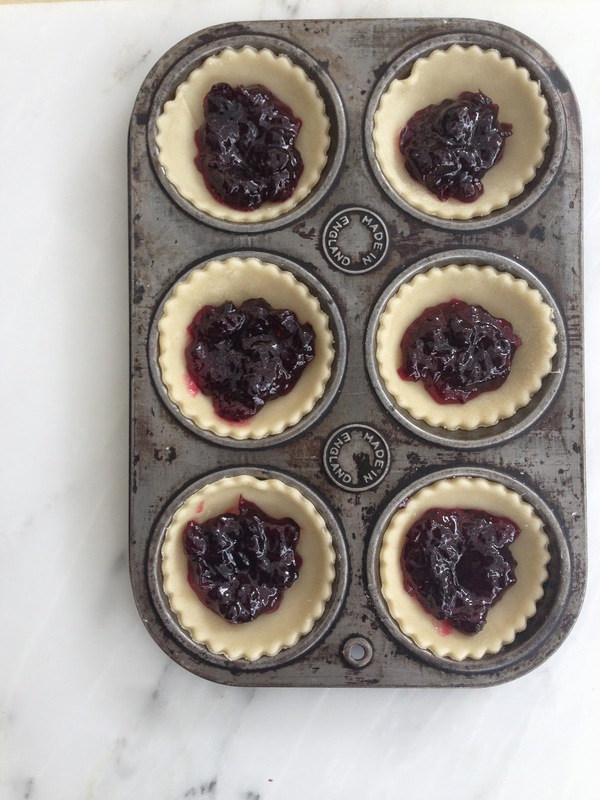 Once all placed in the tin fill with some fresh jam (I used some I made this month from the over flowing blackcurrant bushes) but use whatever you have in the cupboard. Place in the oven for 10 minutes or until golden around the edges. Allow to cool as the jam will be bubbling and extremely hot. Enjoy with a big cup of tea!